New Year, New Skills, New Challenges. So the New Year celebrations are over and we’re all settling back into our ‘regular lives’, it’s at this time of the year that I begin looking around to see what courses are on offer and what new skills I can acquire to enhance my creative practice. I am lucky that I can study once a month at the Committed to Cloth (C2C) studio in Oxted, Surrey, www.committedtocloth.co.uk and I have been doing this for the last four years. Here I have been developing my own work and trying to find my creative voice under the guidance of Leslie Morgan. However, I’m still at the stage of trying to gather as much knowledge as I can in order to enhance my creative skills base – do we ever stop learning? So I like to have a look to see what’s out there to bring a fresh challenge or way of working into my repertoire. 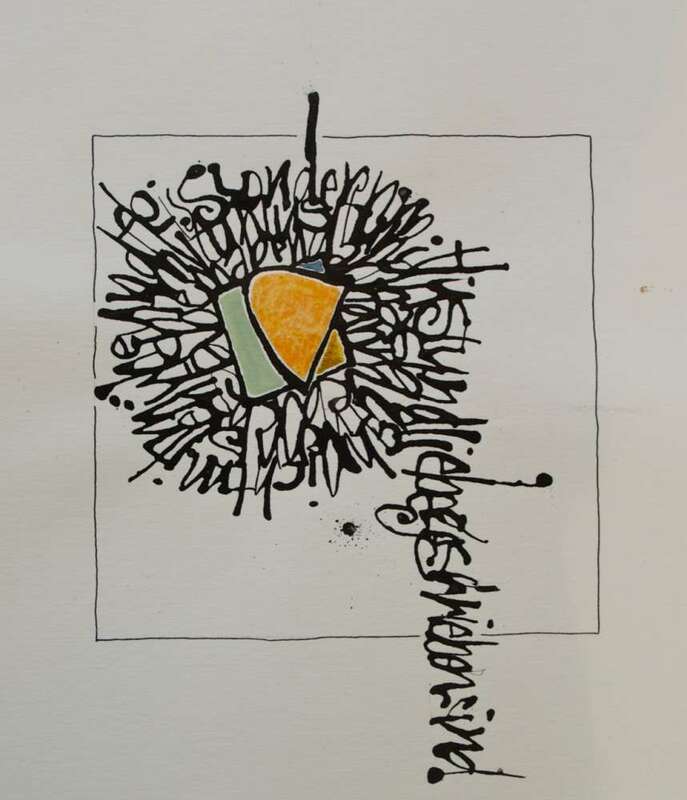 It was whilst I was looking through C2C’s website at their ‘retreat’ courses that I came across the work of Denise Lach, www.deniselach.com a calligrapher. 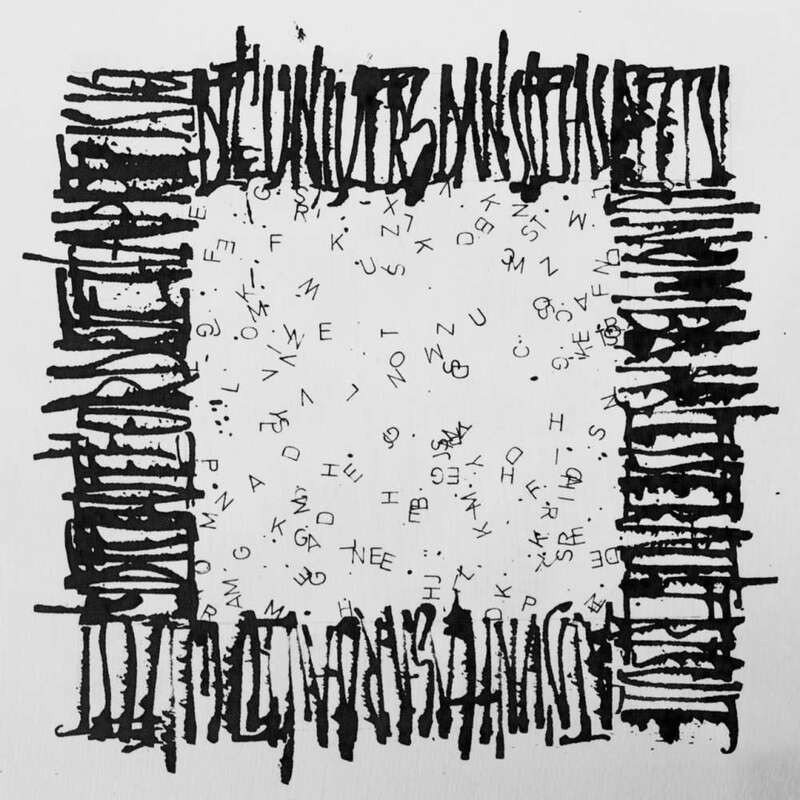 So you might be thinking – how does calligraphy fit into textiles or quilting? but take a look at her work. Images of Denise Lach’s work. 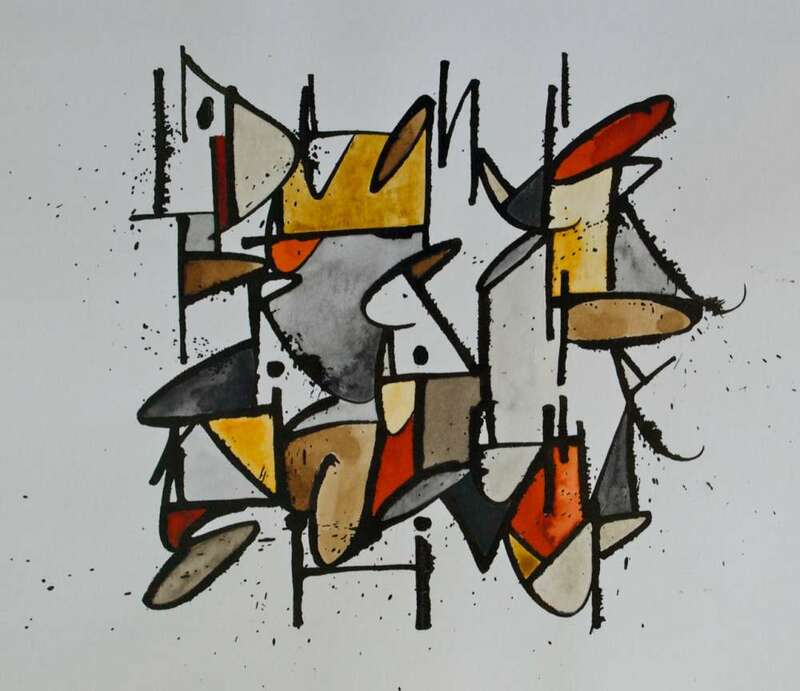 Denise is not a traditional calligrapher, she ‘does not illustrate texts, but searches them for the emotion, the colour, the word that she’ll be able to translate into her graphic language’. To me her imagery reminded me of stitch, fabric piecing, applique and quilting textures- I was hooked. 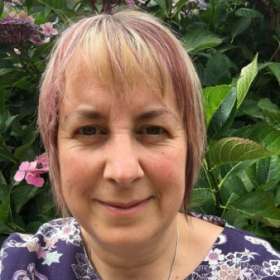 After a little bit of internet searching I soon found out that she has written a couple of books that have great reviews so yes – you guessed it at least one of them had to find its way onto my bookshelf! 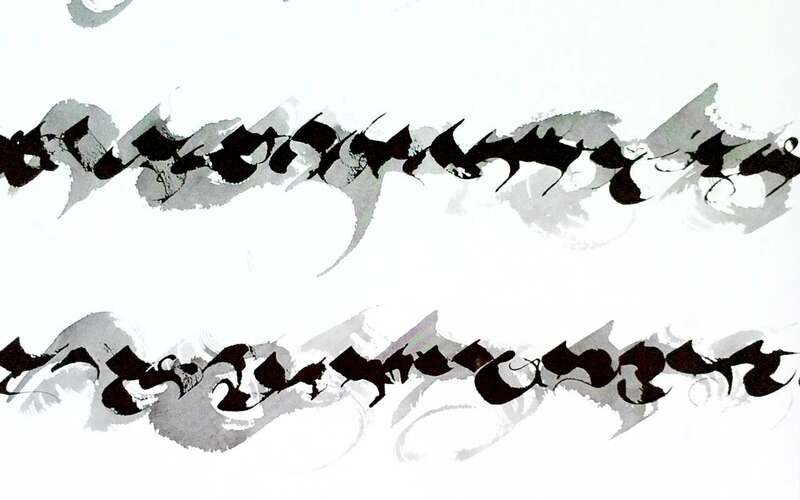 As yet I’ve only managed to have a brief look through Calligraphy, A Book of Contemporary Inspiration but the couple of images below grabbed my attention, I couldn’t believe and still can’t that these images are a form of calligraphy. 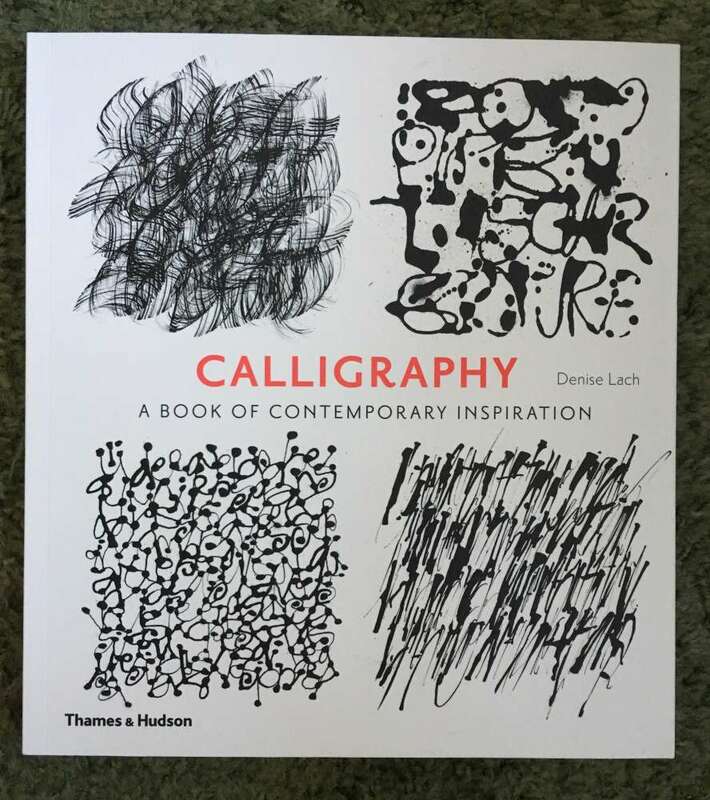 The book discusses a variety of tools that can be used to ‘write’ with and different ways of writing, I can’t wait to try out a few of Denise’s processes. Images from Denise’s book Calligraphy A Book of Contemporary Inspiration. So my appetite had been wetted, here was a new way of working that maybe I could incorporate into my art quilt work so where could I find out more? 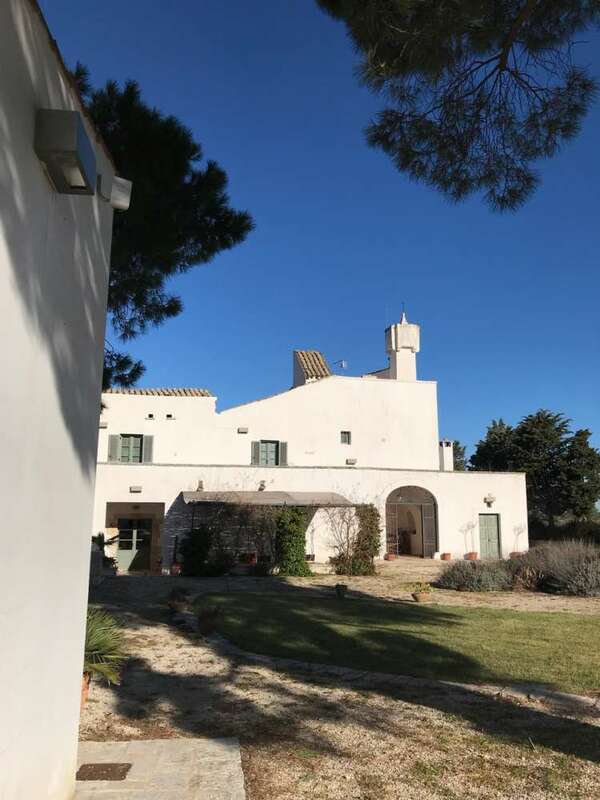 Well sadly it doesn’t look like Denise is doing any teaching in the UK this year but I have found that C2C have booked her to teach at the Masseria della Zingara in Puglia, Southern Italy, www.masseriadellazingara.com in May. It looks like Denise is going to be teaching her ideas both on paper and fabric and in what looks like an absolutely beautiful setting. A range of tools for creating lettering need to be taken, along with a used coca cola can – apparently you can make nibs for writing with from them, all in all it looks a very intriguing course. 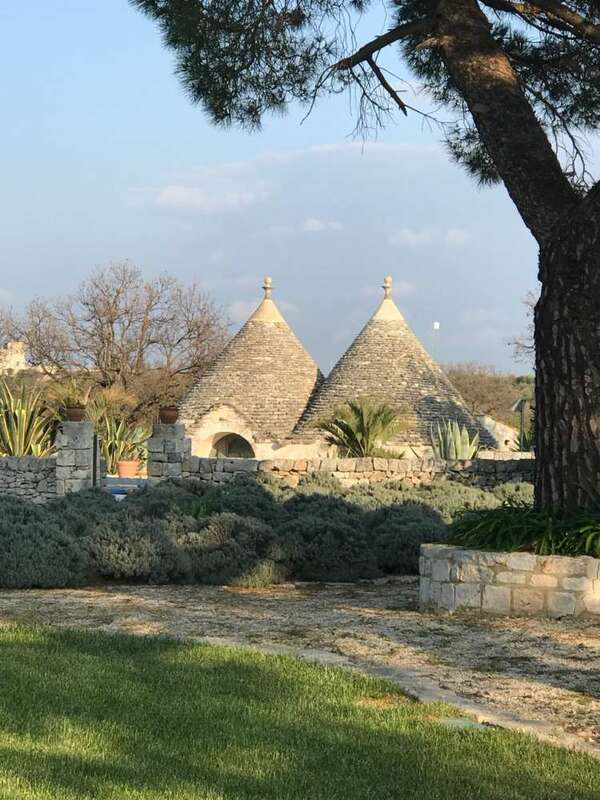 Some of my C2C colleagues have been lucky enough to study at the Masseria and they have said that not only do you have a great time learning but how lovely and relaxing the environment is and the food is to die for. You are very well looked after, you can choose what type of room you stay in and there are trips out to explore the local area. 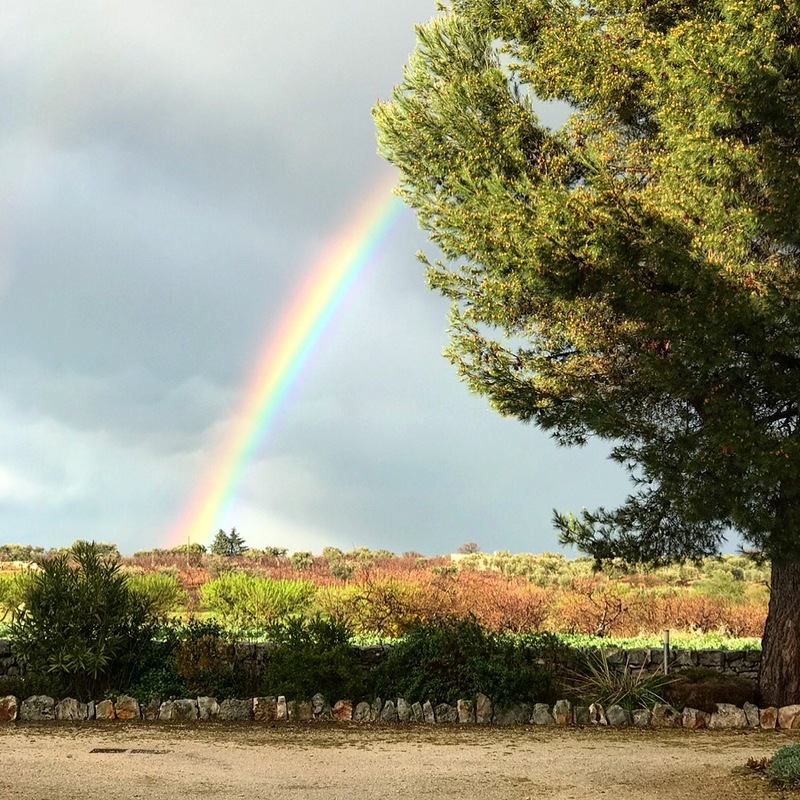 The Masseria is set in 20 acres of olive, cherry and almond groves so creative inspiration is all around you and there’s even a pool for you to relax in – what more could you want? The restored Trullis next to the swimming pool. So all this research has left me with a bit of a decision to make and one question to ask you – will I see you there with me? Esterita Austin workshop – painted illusions The Cheap Procrastinator – Procrastination Central: Best laid plans of mice and men and motif madness. New Zealand quilt shows Thimbles anyone?